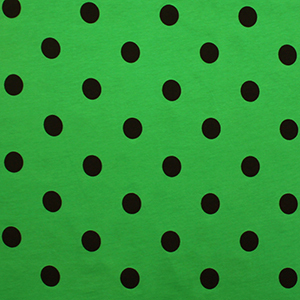 Fun black repeating polka dot prints on a bright green cotton jersey knit. 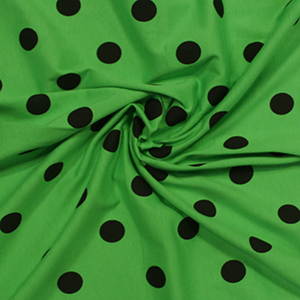 Fabric is mid weight with a smooth top hand and small stretch. Dots measure -7/8" (see image for scale). Made in the USA. 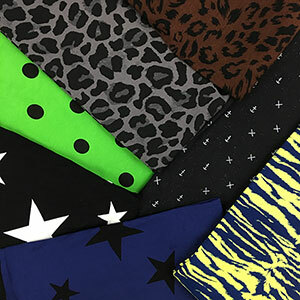 Really wide fabric so you get a lot for the price. Versatile and great for many different applications!